Large mobility scooters are best suited for people on the heavy side depending on their specific needs. Independent Living Specialists has a wide range of heavy-duty renowned brands of mobility scooters on hire/rent or outright purchase in all their stores Australia wide. All large mobility scooters have an automatic transmission and most of this range of product has a CVT which makes it easy to ride in heavy traffic areas. A comfortable ride is well assured with the very comfortable and spacious seating, permitting the rider to control the bike in narrow curves at high speed. Invacare Comet Ultra mobility scooter, Rocky 4 Shoprider mobility scooter, Rocky 6 Shoprider mobility scooter, Shoprider Rocky 889 golf mobility scooter, and Shoprider 889D double seat mobility scooter are five large scooters available at Independent Living Specialists. This product is a strong and sturdy product suitable for those who weigh maximum 220kg. This dynamic device is filled with many safety essentialities to drive it’s user to a destination safely, comfortably and swiftly. This scooter has been manufactured after taking necessary precautions to guarantee the stability and safety of this device. This device is a four-wheel scooter with back wheel drive and long wheelbase specially manufactured for rugged areas. It is available with an array of accessories including front and rear suspension and 330 mm pneumatic tyres. In addition, it has a swivel 360 degree and sliding seat with reclining backrest with adjustable padded armrests for more comfort. The front and rear bumper and anti-tips provide safety and the 1.2 HP electric motor with 12 volts, 50 amp deep cycle dry cell battery aids in transmission. It has a maximum weight load of 227kg. This scooter is packed with unmatched standards of safety, comfort, manufacturing, quality, durability, and novelty. It has a maximum user weight capacity of 225kg. This scooter is similar to any other scooter and could be used indoors and outdoors. Most importantly, it is capable of allowing you to navigate through your local golf course while continuing a steady and comfortable drive. This new large model has been specially introduced to the Shoprider family to complement the high demand for wide mobility scooters. The Shoprider 889D has been manufactured to provide a substitute to users who need wider space. 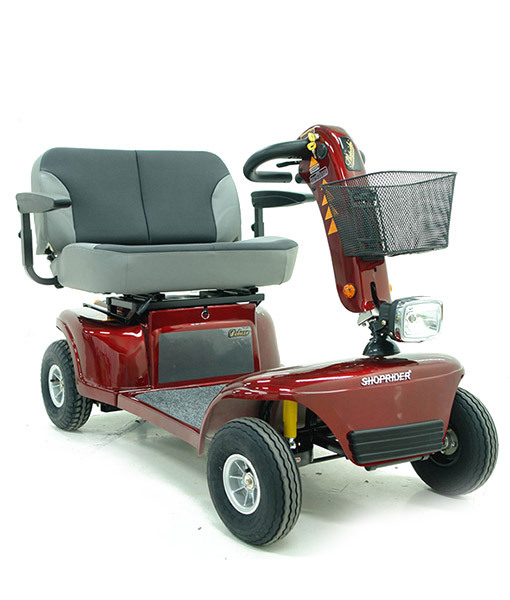 In keeping with Shoprider standards, this model comes filled with luxury essentialities including 2Ohp powerful motor, 800mm sliding wide seat with extra leg space and loop steering tiller with easily usable controls. This remarkable scooter’s dependability is improved further by the rear wheel drive and electromagnetic brake. These mobility scooters and other aged care equipment are now available at a special price for online customers with free delivery Australia wide. Being mobile and independent is the key to keep aging at bay. A foldable mobility scooter is the best answer for elderly people who enjoy traveling and has an active lifestyle. This type of scooter could be transported easily in a car boot due to its foldable capacity or quick disassembling. Independent Living Specialists has a wide range of foldable mobility scooters in their stores Australia wide with some being the best available throughout the country. Benefits of a folding mobility scooter are manifold and it is not restricted to only the elderly. Since most of these devices are lightweight, it is easy to be stored in a closet or carried around in a car boot. However, these lightweight scooters should only be ridden by a person weighing a maximum of 300 to 320 lbs. Some devices are equipped with a lithium battery which is durable and long lasting. A person who requires a mobility scooter with special features and design should consider purchasing a folding mobility scooter. S19 Quest deluxe folding mobility travel scooter, Scout portable mobility scooter, Scout Quattro mobility scooter, and Genie plus travel mobility scooter automatic folding are some of the best foldable mobility scooters available at ILS. This is the best foldable mobility scooter and an extremely lightweight product equipped with a lithium battery for a bigger drive range. It is foldable in a simple movement and needs very little space once folded to be carried around home or outside. This Pride brand product is one of the leading ultra-lightweight mobility scooters. It weighs only 27.3kg and could be taken on overseas vacations and approved by airlines as a wheelchair without affecting luggage allowance. The lithium battery is safe for flight as it is MSDS certified. The Scout portable mobility scooter is the Drive Medical brand’s first mini mobility scooter inclusive of delta bars as the next generation splitting mechanism and many other new features. This scooter is best suited for both indoor and outdoor use excluding rough outdoor areas. Further, it is guaranteed to offer comfort, style, performance, and reliability. This product has deluxe cushioned seating with stitching and shapely wide armrests for an easygoing ride and besides its comfort, it has the next generation Drive splitting mechanism for effortless storage and transportation. Its special feature is a swivel seat for easy transportation. This automatic folding scooter is an uncommon product created to provide the most excellent experience for the user. It is a fully automated electronic scooter that folds and unfolds easily as and when required. The special remote control operation feature is capable of maneuvering the device conveniently. Equipped with a lithium battery it can carry a maximum weight of 136kg. It could be easily stored in an automobile for transporting. It weighs only 25 kg and allowed on airlines and cruise lines without affecting luggage allowance. All aged care equipment and disability aids are offered at a special price and delivered free for online customers Australia wide. Mobility scooters are available in various models and sizes to suit the requirement of the customer. Although each scooter is different from another, considering the range of mobility scooters available at Independent Living Specialists, finding the perfect scooter will be an easy task for the customers. Customers can decide on the scooter depending on the nature of their disability. A 3-wheel scooter’s manoeuvrability is excellent due to its tight turning radius and 4-wheel scooters are stable and safe when ridden over uneven surfaces. Independent Living Specialists has a wide range of 3 or 4wheel mobility scooters in their stores Australia wide with a free delivery option for online customers. top-selling 3 wheel mobility scooters available at ILS. Pride Quest Deluxe folding mobility travel scooter, Scout Sports Quattro mobility scooter with all round suspension and GOGO LX mobility scooter with CTS suspension are 3 of the most popular 4-wheel mobility scooters of ILS. Scooters that are portable to be transported around are generally known as boot scooters. These type of scooters are favored by many people due to its small size, making it suitable for transport and storage. This device can also be dismantled in quick time without any tools. These are ideal for indoor use and outdoor pavements. The maximum speed of 4mph makes it easy to control and it’s generally ideal for those who intend to make short journeys. Scout Sports Quattro mobility scooter with all round suspension, GoGo LX mobility scooter with CTS suspension and S19 Quest deluxe folding mobility travel scooter are some of the popular portable/boot scooters available at ILS. Mid-sized scooters are a little bigger and stronger than boot scooters. It is more comfortable and equipped with larger batteries due to its larger size, resulting in being able to travel further in between charges. These scooters could be used on the road legally and would, therefore, be required to be registered with DVLA and a ‘nil value’ tax disc should be displayed. Envoy 4plus Mobility scooter, Pathrider ES10 mobility scooter,140XL Pathrider mobility scooter are some of the popular mid-size scooter available at ILS. This scooter has been manufactured for people requiring to use a scooter for longer travelling. This device is much bigger and more powerful than the other scooters with speed reaching up to 8mph, limited to 4mph on pavement travelling. Pegasus Mobility Metro scooter, Shoprider rain rider mobility scooter, Envoy 8 plus mobility scooter are some of the popular road scooters available at ILS. Independent Living Specialists has a wide range of scooters to meet any customer’s requirement and budget in all their stores Australia wide with free delivery facility for online customers. Independent Living Specialists is having some exciting offers on some of their best scooters this December. Grab these offers by visiting any of their stores Australia wide during this festive season and make yourself comfortable and get about independently. These scooters are available on hire/rent or buy options in a wide range of designs, size, and power. ILS is guaranteed to be with the customer with their best services, great prices, and free roadside assistance during the first 12 months of purchase. Scout Sports Quattro mobility scooter with all round suspension, GoGo LX mobility scooter with CTS suspension, S19 Quest Folding Mobility Scooter and Scout portable mobility scooter are some of the most popular mobility scooters from their full range of scooters that are available on a special pricing. This scooter is on sale at a special price of $1459.99. Equipped with deluxe cushioned seating with wide armrests assuring a comfortable and relaxed ride coupled with next-generation drive splitting mechanism for easy transportation and storage. Its special features are the swivel seat for easy transmissions, standard off the board and in-house charging, electromagnetic braking system, and reliable delta type handlebars for easy controlling. 50% off the original price is offered on scooter covers and free express delivery to online customers Australia wide. This product from the Pride brand is on a special offer of $1590.99. Fitted with CTS suspension to improve the performance and value to mobility traveling. Features include CTS reliant front and rear suspension, disassembling at feather-touch and normal lighting. This scooter is one of the most exceptional travel devices available. Online customers are offered free delivery Australia wide. 50% off promotion is also available on the scooter cover. This scooter is one of the most advanced mobility scooters of the Pride brand. It is an almost weightless and foldable mobility scooter fitted with a lithium battery that provides a greater range of drive and ultra-lightweight. It folds up easily in a smooth way and easily transportable in the house or shopping malls due to taking up very little space when it’s folded. Currently on a special offer of $2499.99 with free delivery for online customers Australia wide. This mobility scooter is from the Drive Medical brand being sold at a special offer of $1199.99. It is perfect for both indoor and outdoor use except in rough outdoor areas. 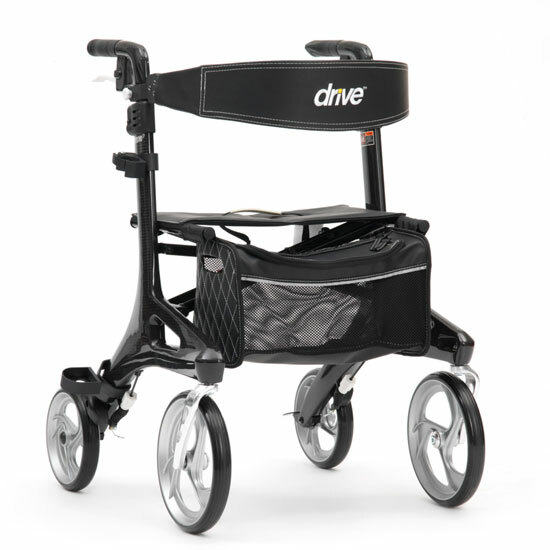 It is equipped with many features which include the first Drive mini mobility scooter, delta bars as next-generation Drive Medical splitting mechanism and is the best when it comes to comfort, style, durability, and performance. 50% off is offered on the scooter cover and delivery free of charge for online customers Australia wide.